THIS LISTING IS NO LONGER ACCEPTING BOOKINGS. This guided tour provides daytime access through the courts and tunnels to the chapel, cells and gallows of one of Australia’s most significant convict precincts. Immerse yourself in an incredible place of Tasmanian criminal history, that's only a short walk or Red Decker bus ride from Hobart CBD (Penitentiary Chapel Historic Site stop). The Hobart Convict Penitentiary was the convict prisoners' barracks for Hobart Town. It originally spanned over two acres, and some 50,000 male convicts passed through the complex. Following the cessation of convict transportation, the site became Hobart Gaol for more than 100 years. Sections of the chapel were converted into two Supreme Courts connected by tunnels to the gaol. An execution yard and gallows were added. This fascinating history can still be discovered in the buildings that remain - a captivating insight into over 175 years of Hobart’s shadier past. 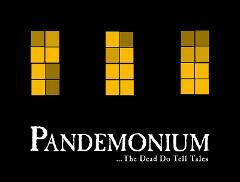 Why not upgrade to one of our Penitentiary Passes with a viewing of Pandemonium included and save 20% off the combined tour price! Use the code PENITENTIARYPASS at checkout. Closed on Public Holidays, and Mondays in Winter. We are also available for specialised group bookings, school tours, and venue hire. Child price is for age 7 to 16. Age 6 and under free. Disabled access very limited due to historic nature of building including narrow steps to tunnels and uneven floors. Please ensure correct tour date and time has been selected prior to booking. Refunds will only be provided if the tour doesn't go ahead. We will try to accommodate change of date and time whenever possible.